All Year 8 students will receive a booklet outlining subjects offered in Years 9 and 10. The booklet provides a detailed description of the elective subjects, information regarding the compulsory subjects taught in Years 9 and 10, information about the NESA Record of School Achievement (RoSA) and the National Curriculum. 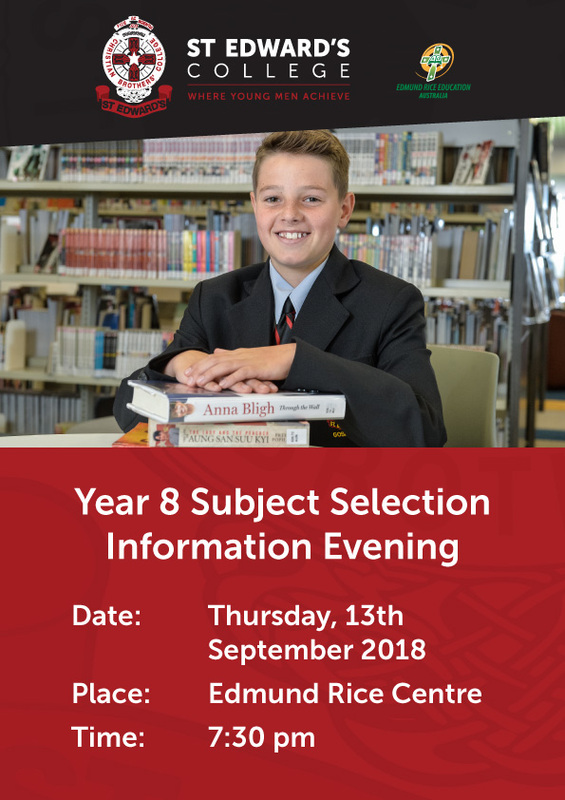 Year 8 and their parents are invited to an information evening on Thursday 13 September beginning at 7.30 pm in the Edmund Rice Centre. Teachers will be located in various places around the Edmund Rice Centre and parents and students will be able to move from teacher to teacher to ask questions about the various courses offered in 2019. It is an advantage for students as well as parents to attend this evening.